**IoT Megatrends 2015 is a short overview of four major IoT trends, created as a collaboration between VisionMobile and Topp. We’ve chosen to present 4 key trends that hint at the IoT’s future, in an easy-to-read, visual format. Here’s what everyone knows about the Internet of Things. It’s going to be enormous. We’ll have tens of billions of devices by the end of the decade. This is a multi-trillion dollar opportunity over the next few years. All the major players in consumer electronics, mobile, cloud, factory automation, enterprise IT and more will be fiercely competing for a piece of that pie. All this information shouts: if your company doesn’t have an IoT strategy you might as well quit. But the hype doesn’t tell the whole story. Questions remain. Where are the opportunities for innovations beyond connecting devices? Which will grow faster: consumer IoT or enterprise IoT? Who will create the most powerful IoT platforms? 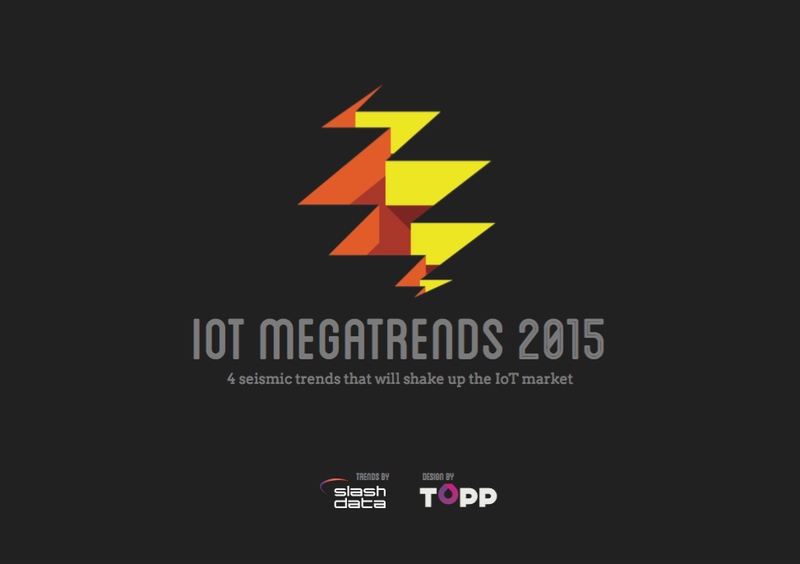 IoT Megatrends 2015 was created as a collaboration between VisionMobile and Topp. It highlights 4 trends that shape the emerging IoT land-scape.For this book, VisionMobile provided the insights on IoT, based on their research. UX industry insights and designs come from Topp. VisionMobile’s Q1 2015 Developer Economics research reached over 4,000 IoT developers. The results offer a unique perspective into how IoT developers are embracing this nascent market. The results confirm the insights we have laid out in this report.